How many monogrammed things do you own? Show us your favorite pair of cowboy boot! Frye boots are without a doubt my favorite cowboy boots. Click here to see image. What’s your favorite thing to eat at Chick-Fil-A? Do you own any chevron? Do you wear jean jackets? Does your state get tornados? Show us your favorite Lilly Pulitzer Item! How hot/humid does it get where you live? Vineyard Vines or Southern Tide? Do you say “yes/no ma’am/sir? What is your favorite “Southern” food? Do you listen to country music? If so, what’s your favorite song? Thanks Kenny! I hope you are having a great start to the week! I love it when people have accents! I absolutely love this, I and omg I wish we had chick-fil-a's where I am! Such a fun tag, too bad us New Yorkers can't be southern belles too! 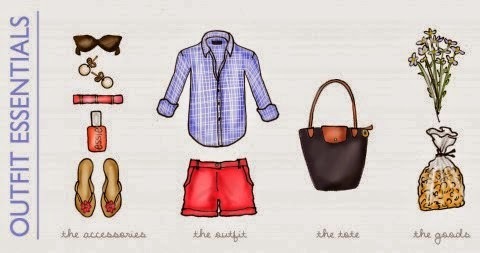 Being a Southern Belle is a state of mind :) I'm sure you could pull it off! Just loved this post!! Hey Yall!! Its better than being told that you are so Jersey!! I heart y'all, ADORE sweet tea, and agree that you can't beat a traditional chick-fil-a sandwhich. A chick-fil-A sandwich is the best! Happy to hear you enjoyed this post! I've just have never been a big tea person but everyone else I know loves sweet tea! I'm right there with you with buttermilk fried chicken. It's delicious! Buttermilk fried chicken hits the spot every time! What a perfect tag!! I love it! I also LOVE those boots!! Frye makes the best boots! Girl, I'm a southerner and I don't care for sweet tea, or unsweet tea either! :-) And I absolutely LOVE Frye boots too!! Great post! Frye boots are the best! Glad to hear you enjoyed this post!